I missed the memos about Jason Mraz & Amos Lee. Thanks to my dad, I was raised on a steady diet of classic and Southern rock. I still have lots of affection for Eric Clapton, Boston, Lynyrd Skynyrd, and lots and lots of Credence. When I was about 10, it seemed time for me to cultivate my own musical tastes and coincidentally, that’s when the British New Wave came crashing upon our Yankee shores. I spent my formative years swimming around in a soup of synth pop. (Kajagoogoo, anyone? Seriously.) And my love for Duran Duran could not be fully expressed in words; it could only be expressed in tears. So it was until my teen years, when the Seattle Sound started dominating the music scene. I am just too damn perky for grunge, so I think that’s when I started tuning out. With the exception of the odd U2 or REM album, I’ve bought very little new music in the last couple of decades. I just couldn’t find a way to connect to new artists. It all just seemed like noise. More recently, I was beginning to fear that since the music seemed too loud, I was getting too old. I even heard “Jessie’s Girl” on the oldies station, and that seemed like a sign from the radio gods that the world of new music might be closed to me forever. Just when I thought I was resigned to an iPod full of old favorites only, I got the memo about Jason Mraz. I’m guessing Jason melted the hearts of many mommies when he appeared on Sesame Street; he certainly melted mine. I’m guessing most people don’t get that excited about “discovering” a new musician that they really like. But for me to connect with any artist from this millennium is a big deal. 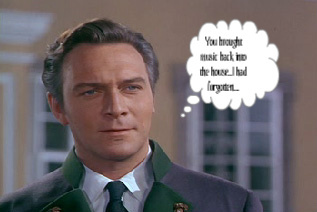 Seriously, I feel a bit like Captain Von Trapp once Maria thaws him out. When I hear a new song that strikes a chord, it’s kind of like falling in love. It’s a rush of excitement at the newness of it all, and it’s the intimacy of feeling like the singer somehow knows part of my life. These days my ears and heart are open to lots of new music and while I’m sure my new favorites will eventually become old favorites, I hope I never stop having new favorites again. Memo received. wow, you articulated that so well! I feel very much the same. Most of my “new music” loves have come from NPR interviews. Thanks, Ashley. Hope you have some good tunes to help keep you company while you’re taking it easy. I remember we discovered Amos Lee shortly after we found out Anna was going to be a girl. His song “sweet pea” was on this AT&T commercial which played every 10 minutes for my entire pregnancy… Of course it just about brought us to tears every time we saw it because the commercial was about a little girl keeping in touch with her daddy while he traveled for work. Whew, over 3 years later, I just watched it and it made me tear up again. That’s so cute. I remember that commercial…with pregnancy/post-partum hormones, bring on the waterworks. 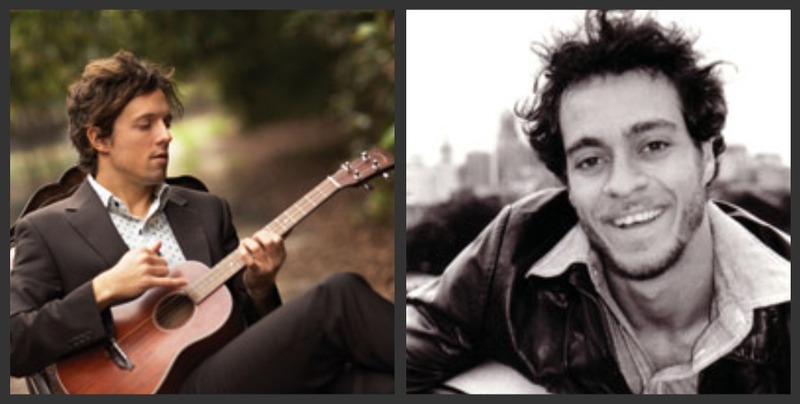 It’s great to see how Amos Lee is really blowing up this year…his new album entered the charts at #1, I think.